alaTest has collected and analyzed 132 reviews of Sony DCR-HC27 / HC27E. The average rating for this product is 4.4/5, compared to an average rating of 4.0/5 for other Camcorders for all reviews. People really like the size and image quality. The portability and price are also mentioned favorably. There are some mixed reviews about the battery, and there are some negative reviews about the finish and durability. We analyzed user and expert ratings, product age and more factors. 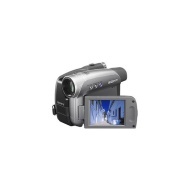 Compared to other Camcorders the Sony DCR-HC27 / HC27E is awarded an overall alaScore™ of 79/100 = Good quality. alaTest has collected and analyzed 52 user reviews of Sony DCR-HC27 / HC27E from Amazon.co.uk. The average user rating for this product is 4.6/5, compared to an average user rating of 4.0/5 for other Camcorders on Amazon.co.uk. Reviewers are impressed by the design and battery. The portability and price are also appreciated. Many are less positive about the durability, while there are some mixed comments about the zoom. Very good image quality at a good price. It is exactly what I wanted, a point and shoot camcorder. It even has an easy cam button . Cheap intro into the world of video, easy to use and good results. A fab little camera also ideal for teenagers !! Excellent value for money providing good quality video at a reasonable price. size and weight. Very easy to use. Had to keep selecting snow conditions. Would have been good if it stayed there until I removed it. 2.5" LCD screen with touch panel.